This is a Mass Effect Andromeda review. 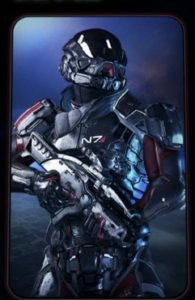 On this page you will learn Nicholas Archer’s insights on what’s good and what’s bad in Mass Effect Andromeda. For more Andromeda content, check out our Mass Effect Andromeda page! Mass Effect Andromeda. The very title sends shivers down the Bioware fanbase’s collective spines. 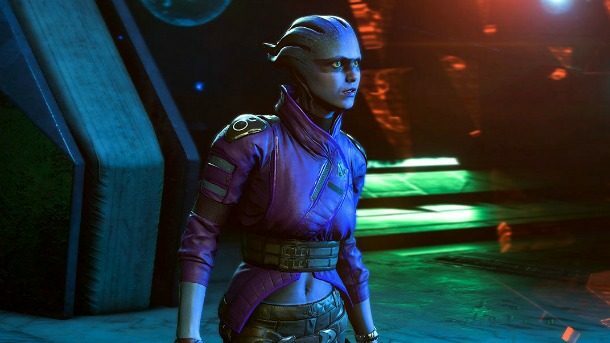 Constantly derided as the worst of the franchise—and even an “existential disappointment,” according to a certain Youtube channel, the consensus seems to be that Andromeda possibly tanked critically. I, Nicholas Archer, have to find the most centrist view regarding this. And so, having played Andromeda, I can safely say that their criticism is quite justified. For a Mass Effect game, this was possibly the weakest link. There was less “space” in the space opera. Many gameplay flaws persist in-game: travelling the Galaxy Map is annoying as hell, being subjected to the same animation over and over again. At least have the decency to put a skip button every time you travel! I’m so sorry, but it truly isn’t that immersive. It’s boring and repetitive. The combat eventually gets old, and if you aren’t used to it, the super-close camera is really disorienting, leaving a huge blind spot for you. Another problem in-game is the dated 2014 graphics when it comes to facial animations. Have we not learned from Fallout 4? I’m not sure, but maybe FO4 might have had better animations than Andromeda. Finally—like a peach pit on top of a turd cake—the writing is just lacklustre. Mass Effect 2, which was a flawed game to say the least, was heavily lauded for its solid writing. I have no disagreements with it. The writing was quite excellent and enjoyable—characters gripped me and enthralled me into caring for them quickly. Which is why Andromeda shows to be a disappointment. Gone are the solid replies and retorts—not so verbose, but neither so bland. With that being said, is there anything in Andromeda worth playing? Alec Ryder–and his badass armor–are some of my favorite things about this game. The game is still, ultimately, gorgeous. 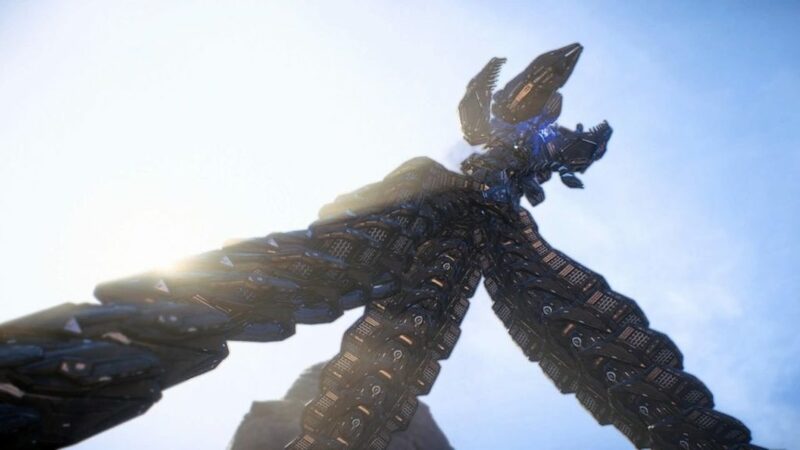 Glorious vistas, alien worlds, amazingly detailed weaponry and armour. Not to mention the Kett and Angara’s immaculate design. (Although they could have been more alien for my tastes—you are billions of light-years away from home. Why the hell are they still bipedal?) Every gun is awesome to use and every enemy is a pleasure to take out. Speaking of guns and enemies, there are many things about combat that rock as well. There’s more mobility in every action, and fluidity in motion. You have to dodge, fly, take cover, use your biotics, lay down suppressive fire, rinse and repeat. Another amazing aspect of Andromeda, buried under the turd pile are the characters. I happened to enjoy meeting Drax, Kallo Jath, Jaal Amal Darav, and Vetra. (Perhaps the humans were the only bland species in Andromeda—and was it intentional?). Their lives and stories were not boring. I found myself caring about them, especially Dr. Lexi T’perro (Natalie Dormer’s stunning voice acting helped quite a bit). Finally, exploring new worlds (the explorable ones, anyway) had been a blast. You set down on a planet, and it’s like you’re exploring a vast, open world, although all of it is an illusion. Encountering strange, new, environments and grand vistas like the Alien Vault on Eos, was a very good highlight of my Andromeda experience. Andromeda—and to an extent, Bioware—deserves to be trashed for being the worst Mass Effect since the third game. But in spite of all its flaws, I could not help but enjoy it either way. It’s the worst of the series, but still ultimately is of the series. Its gameplay additions were sufficient enough to yield an enjoyable experience.